DataCenter provided research support to the Right to the City Los Angeles on a report card based on 481 surveys of residents living in Koreatown, South Los Angeles and Boyle Heights. 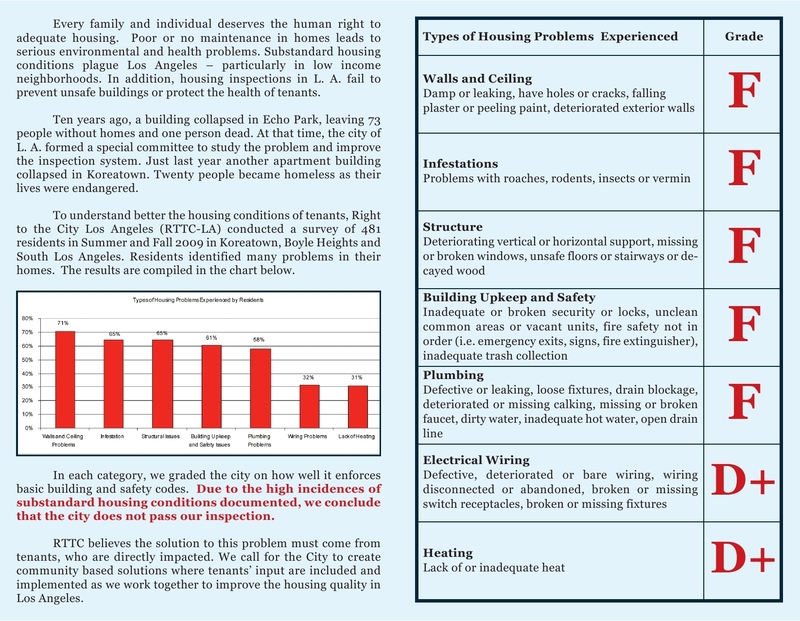 The survey, similar to what the city uses for its housing inspections, found residents living in substandard housing – facing issues of infestations and problems with the structure (particularly walls and ceiling), plumbing, heating, wiring and building upkeep and safety. 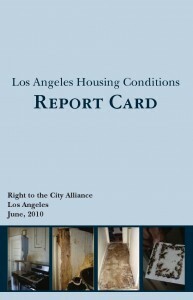 The report card fails the city in its role to provide habitable living conditions for most tenants and its Code Enforcement process that has not worked. 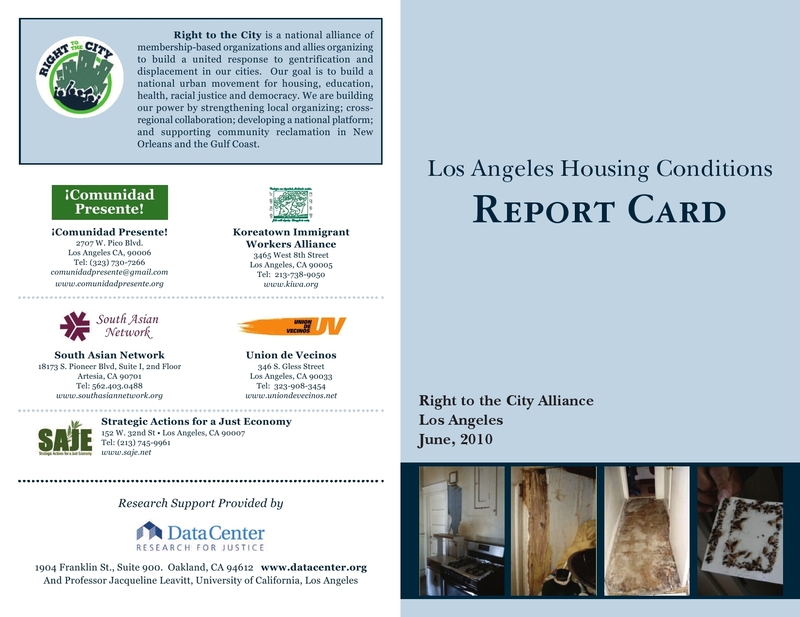 RTTC LA will use the report card to urge the City of Los Angeles to enact stricter policies along with community based solutions to improve the housing and living conditions for over 1 million tenants in the City. The survey was implemented by Right to the City Alliance members: ¡Comunidad Presente!, Koreatown Immigrant Workers Alliance, South Asian Network, Strategic Actions for a Just Economy, Union de Vecinos with additional research support provided by UCLA Professor Jackie Leavitt.